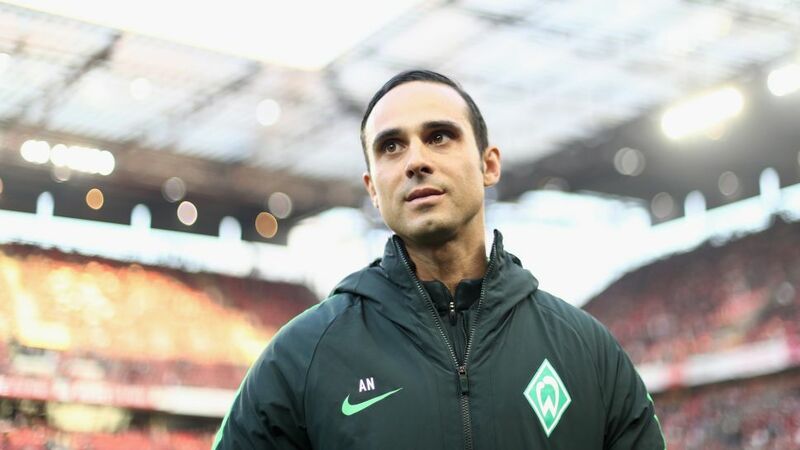 Werder Bremen have rewarded coach Alexander Nouri for his side's stunning second half to the season with a contract extension. Nouri took over from Viktor Skripnik on 18 September last year, the day after the 4-1 defeat to Borussia Mönchengladbach that left Bremen bottom of the table with no points from their opening three matches. Come the winter break, the Green-Whites were barely better off, three points and a place above the relegation play-off berth. Then, however, Nouri's magic began to take hold. The 37-year-old has seen his squad produce a sensational Rückrunde, and they boast the fourth-best record since the turn of the year to head into their final day encounter with Borussia Dortmund with a chance of snatching a UEFA Europa League spot. "In recent weeks, we sat down and spoke about many things which were important for us to be able to work together in the long term. We're delighted to confirm that we'll continue along our path together," Bremen's sporting director Frank Baumann said after Nouri's contract was extended beyond the end of the current season. "In autumn, Alex took charge of the team overnight. Firstly, he had to take control of a difficult situation, which he did with panache. In the Rückrunde, he has led the team step-by-step into the top half of the table. We want to build on that and further develop Werder together." Nouri, who was at Bremen's youth academy before playing for its reserve team around the turn of the millennium, had actually succeeded Skripnik as coach of the club's second string side before stepping up a level. "Even in February when results still weren't coming, I was sure our journey with Werder was not over, and I always had the feeling things would get better," Nouri said in a statement. "I'm happy with the confidence the club has shown in me, the support of the fans and the passionate and hungry team I have around me." Nouri and the club, who released no details of the length of the contract extension, will hold a press conference on Tuesday.